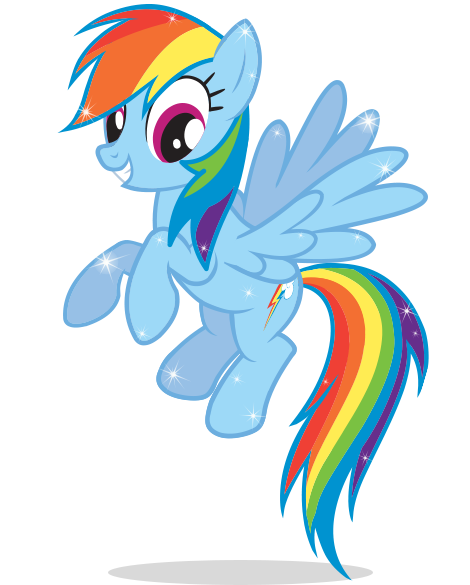 My Little Pony has been a perennial favorite for a number of years. Very few young ones can resist the little ponies with their own names and designs. My Little Ponies are honorable, gentle, loyal, friends. 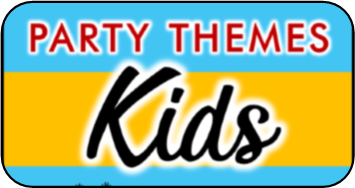 A party with this theme is simply a great choice for parents who want to do all they can to help their children learn to be kind and friendly. 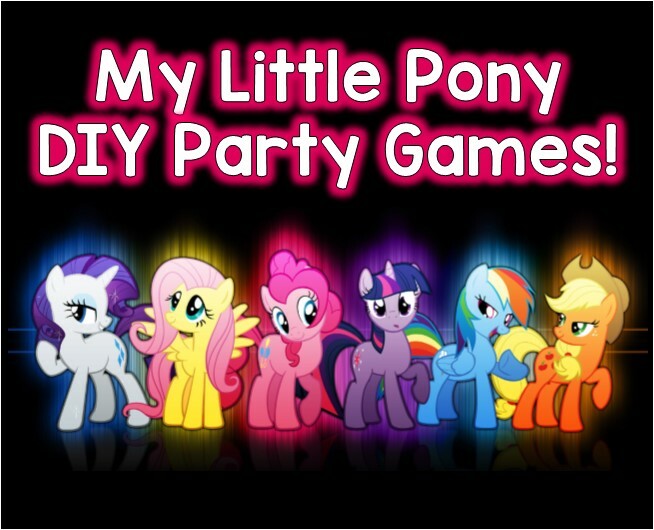 Activities and games for a My Little Pony party are easy, fun, and cute. Parents may not be aware that each one of the ponies also has a positive characteristic meant to instruct children on ways they can help others. Based on this model, the games and play activities used for this theme are endless. What better way to start the party than to make friendship bracelets. The ponies are all about friendship bonding, so each participant can make a bracelet for another party friend. The easiest friendship bracelet to make is one using pony beads (easily found at any dollar store or you can find great deals on Amazon) in different colors and colored knitting yarn. First, each person asks the friend they are making the bracelet for what their favorite colors are. After the colors are chosen, each child is given 10 beads in five different colors. Each person is also given five 12" strands of yarn in different colors. (A good way for knitters and crocheters to get rid of some of their scrap yarn.) Ten beads are strung on each length of yarn and a knot is made on both sides of the beaded portion of the yarn. The beads should be centered on the 12" strands. Then the bracelet is tied on the friend's arm and the result is so pretty! For a video tutorial of some different techniques for friendship bracelet check out this awesome video below. Since My Little Pony, Princess Twilight Sparkle, is a supporter of education, a word game might be in order. Everyone gets a piece of paper and a pencil. (Extra points for the hostess who hands out My Little Pony pencils) The goal of this game is to see how many words each contestant can make using only the letters in Princess Twilight Sparkle. The time limit is five minutes, after which judges will determine if the words on each person's sheet are correct. The person with the most correctly spelled words is the winner. Fluttershy, the yellow pony is kind and gentle to everyone. In this game have all the players sit in a circle and hand each child an inflated balloon with a small prize in it such as a piece of candy or My Little Pony sticker (check out these stickers on amazon). Number each balloon according to how many players there are and write the number on each balloon with a marker. Play music and have all the children pass the balloons around in the circle ( like hot potato) but with more "potatoes". Stop the music randomly. All players should then stop passing balloons and hold onto the one they have. Call out a number and the child holding the balloon with that number must come sit in the middle of the circle. Now let the child in the middle introduce themselves and state three things about themselves (hobbies, favorite color, interest, etc). Now go around the circle and have each child say one kind nice thing about the player in the middle without repeating what another player has already said. When everyone has had a turn to say something nice, the player in the middle can pop their balloon and retrieve the prize inside. Now they can continue to play, but cannot be called to the middle again. 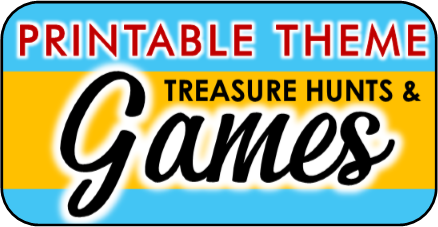 This game is one of our exclusive treasure hunt games. 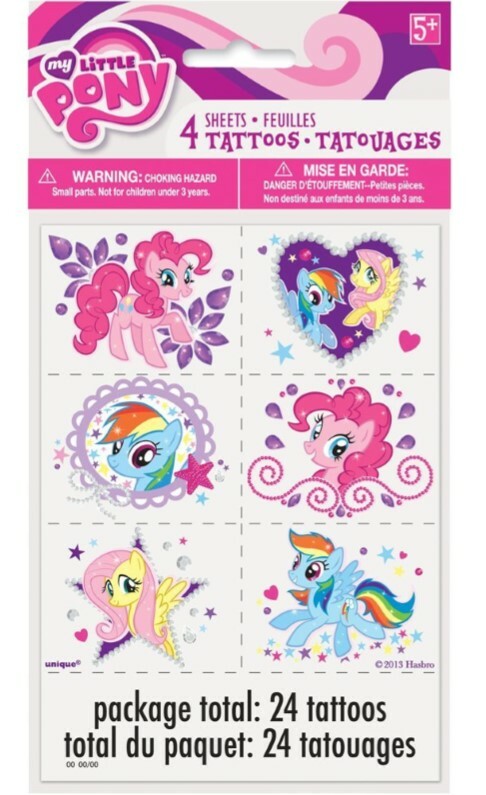 Assign each player or team a pony (one of six from Friendship is Magic) and they must search around the party area to find the six coordinating picture cards that coordinate with their pony. Once they find all six pieces they get a piece of the puzzle. Once everyone has found all six of their pieces they put the puzzle together to win the treasure! Ready for instant download. Get complete details. 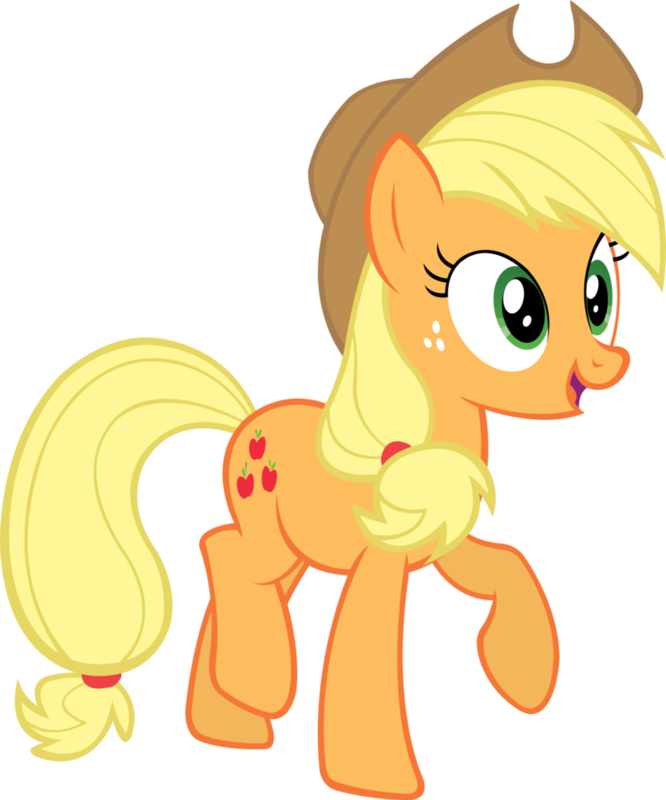 Applejack, the coral-colored pony models the character trait of honesty. In this game players are tested on their knowledge of the little ponies. Each participate gets two index cards one with a T written on it, and the other with an F.
Each player takes turn saying one My little pony statement, and the other players hold up a card guessing whether it is true or false. For each statement that players guess correctly they get a point. At the end of the game whoever has the most points wins. For this game you will need a large bag of skittles,regular drinking straws, and four bowls. Fill two bowls with skittles (half a bag in each) and place them on one side of the playing area, and place the other two empty bowls about 5-7 feet away. Divide players into two teams and give each player one straw. On the start of go the first player from each team uses their straw to such the first color skittle onto the end of their straw. They then run it across to the their team's empty bowl on the other side and dropping it in - they cannot touch the skittle with anything but their straw. Finally, they return to tag the next player in line who does the same thing with the same color skittle. This continues to every player on the team has done the first color, and then they start again on the second color. The first team who has all of their players complete all five of the colors wins! 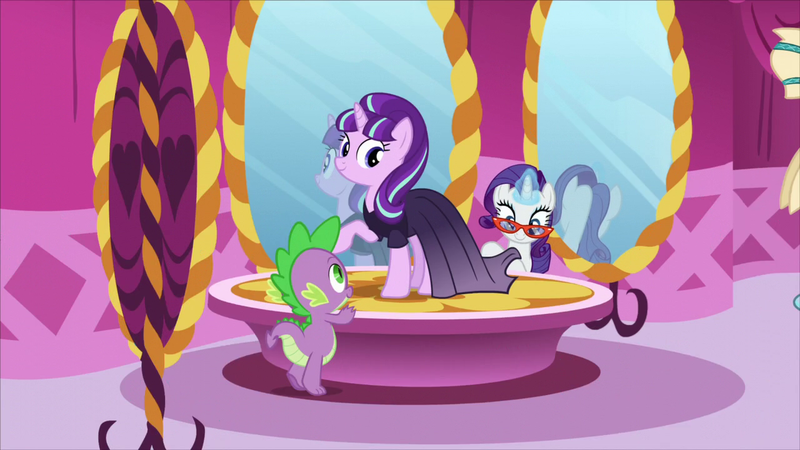 Rarity, the purple pony is famous for her generosity and is also a fashionista. In this game players will divide into teams to come up with their own fashion creations. Divide players into three groups and provide each group with a bag of things they could use to create fashion. Ideas for items to put in the bag could be - pillowcases, scrap fabric, pins, markers, safety pins, scissors, buttons, etc. Give each team 20-30 minutes to come up with their master pieces. Afterward host a mini fashion show and let the teams show off their stuff. 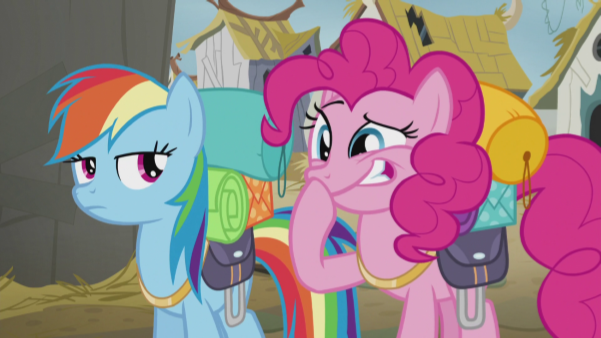 Pinkie pie is all about laughter, this is the element she represents after all. In this game one player is chosen to represent Pinkie and it is their mission to make the other players laugh. The others players will try and keep a straight face as long as possible while Pinkie tries anything short of physical contact in order to make them crack a smile or laugh. Once a person is caught laughing they are out. 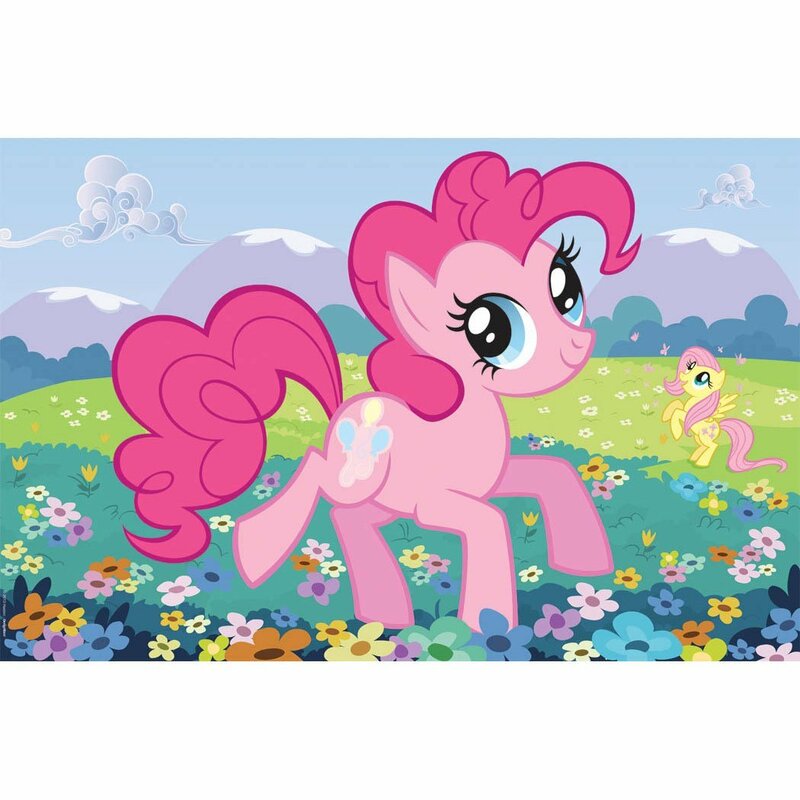 The last person who cracks a smile or laughs gets to be Pinkie in the next round. 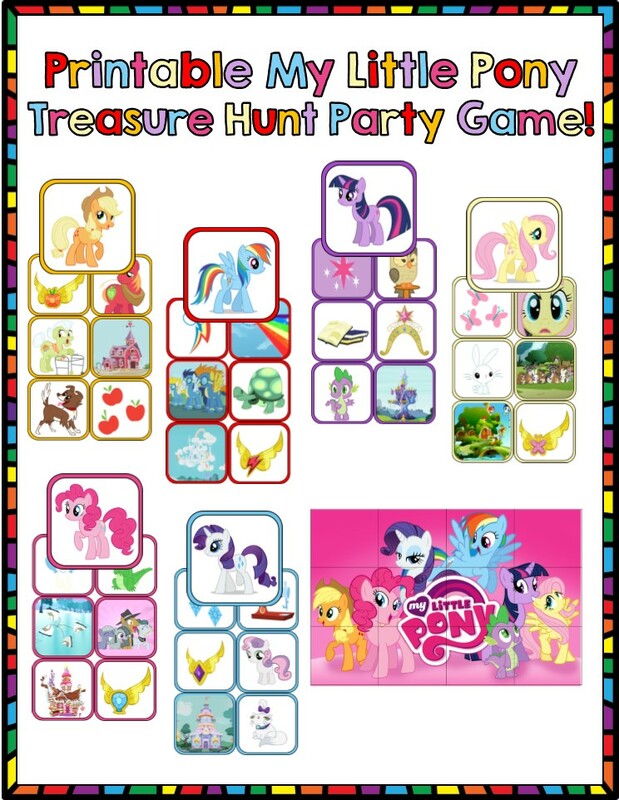 The My Little Pony Party Game is a fun twist on the party classic pin the tail on the donkey. Print and hand a picture of of Pinkie on the wall. Blindfold players one at a time and hand them a cutie mark ( these can be made from construction paper with tape on the back). Each player attempts to place their cutie mark in the spot it belongs on the picture. If you don't have time to make your own game you can purchase from Amazon for $5.00. It includes a big 37 1/2 x 24 1/2 poster of Pinkie Pie, 2 sheets of balloon stickers, and a blindfold.